Black Bears reached the Class C state match last season. After making school history last season when it reached the Class C state championship match, Maranacook enters this campaign seeking a little redemption. With two top returners in senior Madelyn Dwyer and junior Emma Wadsworth, expectations are high once again. Dwyer embraces the challenge ahead for Maranacook. Messalonskee returns five starters from a team that went 9-2 in Kennebec Valley Athletic Conference Class A last spring. 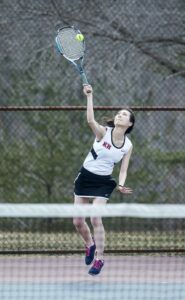 “I think we are stronger and have more depth and a better attitude than I’ve ever seen,” said Messalonskee junior Lauren Bourque, who went 12-0 last season and is one of the top players in central Maine. Winthrop went 8-2 last season and should again be in contention in the Mountain Valley Conference as it returns its starting lineup this spring. Senior Nora Conrad and juniors Gabby Blanco and Natalie Frost lead the Ramblers. Madison is coming off a 9-1 season, but it returns just two players. However, Madison coach Josh Newhall, who is entering his fifth season, said optimism is still high for another strong season. “(I am) pleased with the amount of newcomers to come out for the team and am excited for the season ahead,” he said. Hall-Dale returns a solid group led by the seniors Olivia Bourque and Maggie Gross. Oak Hill has three returning seniors and many promising freshmen whom coach Liz Tibbetts said are eager to contribute. Senior Mackenzie Thibeault will help lead the Raiders. 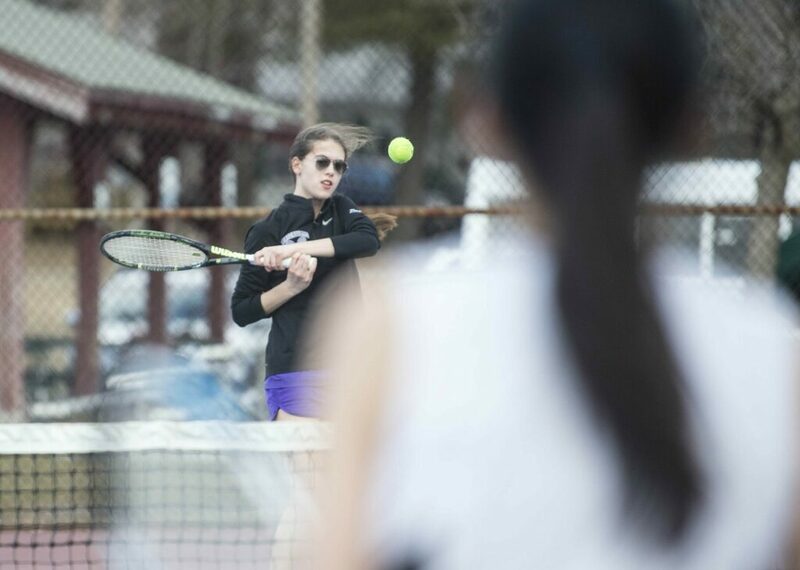 Erskine looks to continue last year’s success with state singles qualifier senior Ellie Hodgkin returning. Senior Regina Harmon provides valuable experience as well, Erskine coach Ryan Nored said. Waterville returns nine players from a team that went 10-2. Although only three returning players started last season, many of last year’s junior varsity players are ready to move into key positions, second-year coach Devin Lachapelle said. Gardiner had a strong turnout with 26 girls coming out. Five players return with varsity experience for Patrick Quinn’s team, including senior Kiara Goggin and sophomore Lindsey Bell. Also in the KVAC, Mt. Blue coach Judy Upham enters her 20th season and will look to senior Maeve Hickey for leadership.